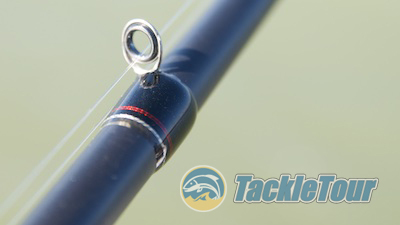 Introduction: Earlier this year, Rapala Canada's Concept Ti Spin 72 stick did very well in its review. Today we take a look at one of that stick's many siblings, and it's actually a two-piece stick. It's not often we get a hold of a fishing rod that's middle to high end in terms of fit and finish, and available in more than one piece. There just aren't that many sticks like that out there, so we're very excited to share this stick with you. Introducing Rapala Canada's Concept Ti Trigger 70. 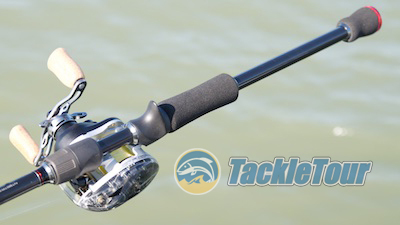 Today we take another look at Rapala Canada's Concept Ti series with the Trigger 70 two piece! 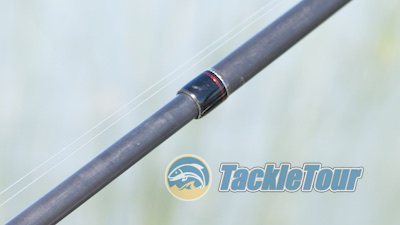 Quality/Construction: Rapala Canada's Concept Ti Trigger 70 is a two piece, seven foot, medium heavy powered stick made of 40 ton graphite bonded with one of the current generation super-resins. The blank is sanded and unfinished with a split rear grip made of EVA foam. Looking down the length of the blank, it is straight and the guides are aligned perfectly. Performance: A rod this light and lively deserves a reel equally as light and lively. I fished it with a couple of reels including a PX Type-R from Daiwa and a Megabass FX68L. A look at the Trigger 70's minimalist handle build. Casting: The Concept Ti Trigger 70 is rated for baits between three eighths to one ounce (3/8 - 1oz) in lure weight. It handles baits within this range really well loading smoothly and releasing the built up energy efficiently. It handles and casts so well I had to remind myself it's a two-piece stick! This two-piece stick separates right in the middle. 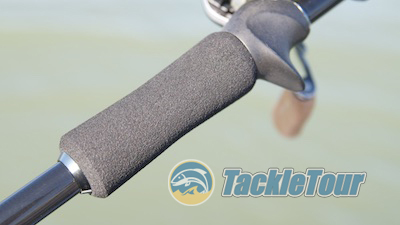 Perhaps even more fun than casting with this stick is tying on a Texas rig and pitching to targets and into cover. The rod's extra-fast taper together with it's light and easy to handle characteristics results in a wonderful pitching stick, especially when matched with PX Type-R.
Fuji ti framed SiC guides on a ~$250 stick. Sensitivity: The Trigger 70 has very good sensitivity perhaps more due to its build than the crispness of its blank. From the micro-guides down to Fuji's Skeletal split reel seat it almost feels as if all you're holding is a bare blank and is especially effective when dragging soft plastics along the bottom. 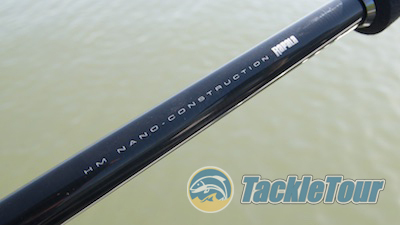 This rod features a blank made from 40ton graphite fused with one of the new generation super-resins. 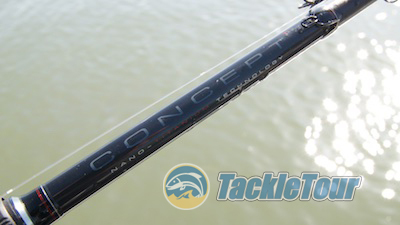 Power: The Concept Ti Trigger 70 is rated as a medium heavy powered rod. Looking at its RoD Deflection chart below, we can see it aligns very well with our Search for One baseline MBR843C GLX - a classic medium heavy powered rod. Even so the Trigger 70 handles much differently than the MBR843C GLX. 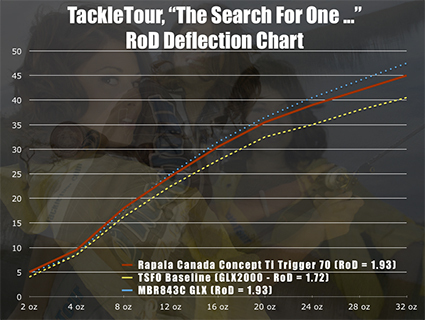 Fig 1 : The chart above illustrates the deflection characteristics of our Rapala Canada Concept Ti Trigger 70 against our Search for One baseline rods. The difference here is in the Trigger 70's minimal build and extra-fast taper. That combination gives this stick handling characteristics similar to a medium powered rod, but of course, as soon as you lean into it, the stick's true power is revealed. It's a dichotomy that makes this stick really fun to fish. The EVA grip is softer than most and very comfy to hold.